With the help of Business Association expert Arte Maren, the Board of Directors reorganized in 2015. The goal was to expedite association business and for each member to clearly understand their role. The following guidelines were established. The Board generate ideas for the association and vote to pursue those considered viable. The appropriate committee chair is selected to develop these ideas. Committee Chairs solicit input from their committees and create a plan (CSW). This is brought to the president for approval, upon which it is put into action. The Executive Director may be called on to assist committee chairs with any part of the process. Brian Chalsma is the President and co-founder of The Roofing Company Inc. and The Remodeling Company in Hampton, Virginia. TRC offers a full range of roofing and remodeling services and specializes in the preservation and repair of historic homes and structures. Recognized as a local expert on historic slate roofs, Brian and TRC have assisted hundreds of residential customers in the historic areas of Williamsburg, Norfolk and the surrounding Tidewater region. With an emphasis on customer service, TRC has received The Virginia Pilot Readers Choice Best of Hampton Roads Award; Angie’s List Super Service Award, The Daily Press Choice Award for Best Roofing and is also the WAVY TV 10 Roofing Expert on Your Side. Brian’s years of experience working with slate roofs includes not only sales, procurement, installation and repair, but also consulting for historic preservation organizations, serving as an expert witness in roofing related litigation, and leading TRC’s team in ongoing education and systems improvement. 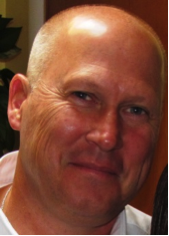 Always striving to stay current, Brian holds numerous manufacturer certifications and multiple GAF’s Master Elite Excellence Awards. He is a member of the Virginia Roofing Contractors Association and the National Roofing Contractors Association. Brian and his wife Teresa live in Newport News, VA with their three daughters. They are active as a family in their church, various charitable organizations in their community, and the numerous after school activities of their daughters. 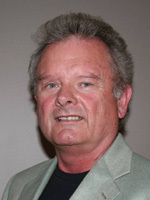 Bob Pringle is the Vice President of Evans Roofing Company, Inc. located in Elmira, New York. Evans Roofing Company, Inc. is nationally recognized commercial roofing, sheet metal, and wall panel contractor delivering solutions through best practices. Commitment to quality, safety and uncompromising customer satisfaction provides a seamless experience without interruption to their customers. With over 65 years of experience Evans Roofing Company, Inc. is recognized as one of the nation’s best full-service contractors providing a single-source solution to full building envelop projects. The Evans Roofing Company’s strong commitment to workplace safety earned national recognition as the first and only VPP STAR roofing contractor in the industry. With long term growth and multiple locations servicing customers is unmatched in the industry. Bob is an Industrial Engineer graduate from University of Miami. Bob proudly participates on several boards including NAGC, CIRCA, ABC of the Triple Cities, Inc., New York State Industrial Code Rule 59/60 and NSA. 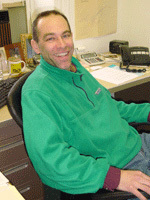 Bob is a member of the National Roofing Contractors Association, RCI, Green Buildings for Healthy Cities, VPPPA and LEED. Responsibilities include managing Sales and Marketing and overseeing Environmental Health and Safety for Evans Roofing Company, Inc.
Bob and his wife Pam live in Apalachin, New York with their only daughter Lauren attending Sage College of Albany and studying Pre Med. David is President of North Country Slate. North Country Slate (formerly Newfoundland Slate Inc.) has been a quarrier and distributor of natural roofing slate since 1988. As well as the distribution of Vermont roofing slate, North Country is the exclusive distributor for Glendyne Inc., the largest roofing slate producer in North America. North Country Slate actively promotes the use of natural roofing slate through the dissemination of quality design and technical information to the architectural and roofing community. 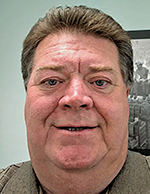 David has been President, Vice President or General Manager of North Country Slate since 1995 and has spent the last 40 years in sales/marketing capacities in various technical product industries. He is an active member of the ASTM (ASTM International) C-18 Dimension Stone committee governing roofing slate and sits on the Test Methods C-18.01 and Material Specification C-18.03 sub-committees. He is a charter member of the National Slate Association and holds memberships in several North American roofing industry associations. John Chan started slate, tile and copper roofing at The Durable Slate Company while on summer breaks during college in 1986. He resumed his career full-time after graduating from UCLA with a degree in Economics in 1989. After working through the ranks in the field, he became one of the principles of the company in 1992. 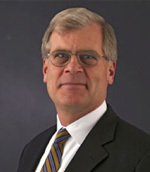 In 1996, he moved and opened the Cincinnati branch office. Once that office was fully staffed, he went on to open up the New Orleans branch office in 2006. Over that time span, he has been on over 10,000 slate and tile roofs all over the United States and Europe. John has given many lectures/workshops on slate, tile and copper roofing including ones for: The Preservation Resource Center, The Ohio Historical Society, Cincinnati Preservation Association, University of Cincinnati, Department of Design and Architecture, Tulane University, Department of Architecture, International Preservation Trades Network, Traditional Building, The Restoration Industry of America, The Slate Roofing Contractor’s Association and many others. 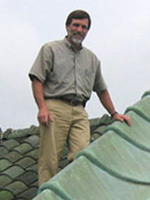 While at Durable Slate, John was instrumental in the completion of many high profile jobs such as The Ohio Governor’s Mansion, Columbus, Ohio, St., “The Wedding Cake House”, New Orleans, LA, Ephesus Seventh Day Church, New York City, NY, Church of All Saints, Keokuk, IA, and the Sarasota County Courthouse, Sarasota, FL. Some of these jobs have garnered some impressive awards, such as the Church of All Saints. It was Durable Slate’s 3rd Gold Circle Award, given to the Project of the Year, by the National Roofing Contractor’s Association. Durable Slate is also the proud winner of the Better Business Bureau’s International Award for Market Place Ethics. This award is only bestowed on one company per year, for each size of company (3). John is proud to have served on the Board of the NSA since 2007. Jeffrey Levine is President of Levine & Company, Inc., Roof Consulting and Architectural Conservation. Mr. Levine’s responsibilities include condition assessments, leak investigations, construction documentation and administration, materials analysis and selection, hands-on surveys and test probes, and maintenance planning. 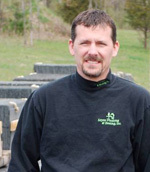 Mr. Levine’s expertise in the field of slate roofing is nationally recognized. He has served as Project Manager for over 200 restoration and rehabilitation projects, preservation plans, and maintenance programs for a large variety of building types, including academic, commercial, and ecclesiastical buildings; museums; industrial structures; and, ruins. Mr. Levine has an M.A. in Historic Preservation Planning from Cornell University, has written numerous articles on slate roofing, including “Preservation Brief No. 29” published by the National Park Service, is a founding Director of the National Slate Association, and is a member of the Historical and Architectural Review Board, for Lower Merion Township, Pennsylvania. 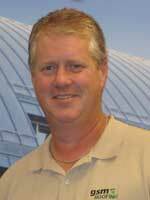 Alan Buohl has been a Sheet Metal Superintendent for eight of the 28 years he has been employed at GSM Roofing. GSM is a commercial and specialty roofing contractor serving the mid-Atlantic region. Several honors and awards have been bestowed upon Alan during his dedicated service at GSM. The Roofing Industry Alliance for Progress, an affiliate of National Roofing Contractors Association (NRCA), sponsors the Roofing Industry’s Most Valuable Player Awards (MVP) Program, which annually identifies and honors a maximum of 10 outstanding roofing workers nationwide. Alan was one of the NRCA’s MVP Award Winners in 2001. NRCA proudly recognized GSM Roofing by presenting them with the Gold Circle Award for the Lititz Watch Technicum project located in Lititz, PA in 2002. Alan served as foreman for this project. His leadership demonstrated the high standards of craftsmanship and exceptional effort by professional roofers. 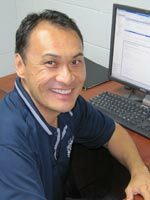 In 2006, Alan joined over 43 employees that have been with GSM for over 25 years. Alan and his wife Deborah are enjoying the teen-age years with their son and daughter. Josh keeps him active with hockey while they also enjoy hunting and fishing together. Mallory is attending Penn State University’s Berks campus and enjoys her job as a waitress at an upscale restaurant near her home. Alan and Deb both work out at the gym together to keep their health in check. Clay Heald is the Vice President of The New England Slate Company, located in Poultney, VT and has been working with the firm for the past 11 years. 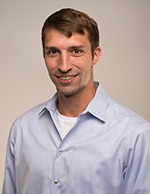 Clay is a native resident of the Vermont slate district where he grew up, attended high school and studied business management at nearby Castleton State College. Responsibilities include sales, product sourcing and quality control during the various slate finishing processes. Clay has been involved in numerous high profile projects around the country and travels nationwide exhibiting at roofing trade show and making customer visits. As a representative for numerous independent slate quarries, The New England Slate Company markets and distributes the full range of natural roofing slates nationwide and overseas. They are also the exclusive North American distributor of Penhryn Unfading Purple slate from Wales, U.K. The New England Slate Company is a charter member of the National Slate Association and is involved with several industry trade organizations. Additionally, Clay owns and operates The Vintage Slate Company, where salvaged roofing slates are inspected, processed and sold for repair, addition and complete roofing applications. Tom Stortz has been a part of John Stortz and Son, a fifth-generation family-run business, for the last 12 years. Stortz Tools, located in Old City, Philadelphia since 1853, manufactures and distributes slate and sheet metal tools to roofers and the trades. Through this longevity and an emphasis on quality workmanship, the business offers some of the finest slate tools available today. Tom graduated from the University of Pittsburgh with a Finance degree. His role at Stortz involves looking to the future by developing e-commerce platforms and social media marketing for the business. He is also tasked with growing a network of roofing distributors and contractors from not only the US, but internationally as well. There’s a good chance that if you are a slate roofer, you’ve used a Stortz ripper, hammer, or cutter! Russel Watsky is an independent roofing consultant, with over 25 years as a contractor specializing in historic roof restoration. He provides knowledgeable, unbiased roofing advice for private homes, commercial buildings, churches, and historic structures. He is not affiliated with any roofing contracting company, supplier, or manufacturer. Rus’ experience in roofing began in 1963 working during school vacations for Julius Watsky, Inc., the roofing company founded by his grandfather in 1917. The company was highly regarded for the quality of its copper-work and traditional flat roofing and provided Rus with the benefit of learning from some highly skilled tradesmen. One of the most memorable was Ralph Angelori, a slater who was 80 years old when Rus spent the summer working with him. When Rus’ uncles dissolved Julius Watsky, Inc. in the 70s, Rus joined Westal Contracting, and became president in 1993. He advanced the company’s reputation as a leader in historic roofing and commercial flat roofing. Under Rus’ leadership, Westal worked extensively with the National Trust for Historic Preservation, worked at Ellis Island with New York Landmarks Conservancy, and received a national award for workmanship at the Jay Mansion in Rye, NY. In addition to Executive Director of the NSA, Brad Walters is Executive Director of the Southern Tier Builders Association in Falconer, NY and the Associated Building Contractors of the Triple Cities in Binghamton, NY. He has over thirty years of experience in the construction industry, including civil engineering, land use planning, zoning and infrastructure development. 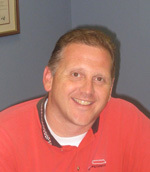 Brad earned his bachelor’s degree from Edinboro University. Robert specializes in the analysis and diagnosis of building envelope issues for both historic and contemporary structures. As Principal of Fulmer Associates LLC, he provides the forensic investigation, specifications and project management of appropriate remedial solutions for a full spectrum of building envelope projects involving academic, institutional and ecclesiastical structures. He has over thirty years of professional experience in copper and slate roofing, as well as steeple, bell tower and clock tower restoration. Robert has consulted on significant projects throughout North and Central America. He is a published author of trade specific articles and has lectured throughout the U.S. on historic preservation and contemporary building envelope topics. He is qualified as an expert witness for roof related litigation. Robert is Past President and currently serving on the Board of the New England Chapter of RCI.